Whether a company is a freshly minted startup or a more established middle-market operator, each and every e-commerce business faces the challenge of developing and proving its monetary value. These companies must learn to compete and thrive in a zero-sum world — where Wall Street’s precise valuation methodologies determine the worth and sustainability of a business and a host of relatively new performance metrics come into play. For e-commerce owners and mid-market companies looking to best position themselves to take advantage of the rapidly changing e-commerce landscape means defining profitability to best reflect the company’s future prospects, creating a distinctive growth story and establishing a clear trajectory for both profitability and growth. 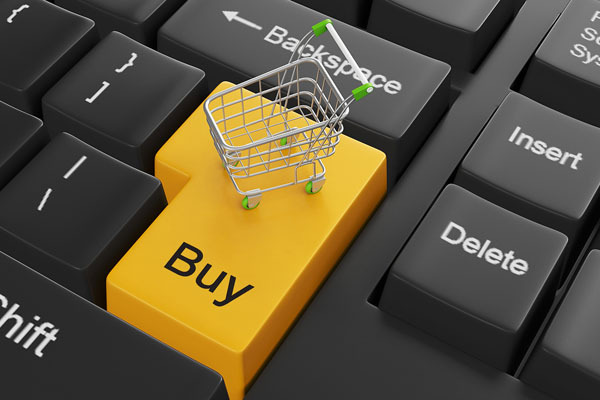 Profitability is the game changer in today’s e-commerce environment. For the late-stage investor, a business is not proven until it is profitable. Regardless of business model, if a company is not showing a profit — or at the very least showing a clear “path to profitability” — then it is perceived as higher risk. Investors want to limit additional capital injections post investment — and naturally they want to understand the risk they are taking on. Investors also want to hear a story from e-commerce companies about their path to profitability that is supported by detailed projection models. These models start with the past and project future performance based on detailed assumptions going forward. They clearly identify when a company will become profitable and what factors will affect that timing — including additional capital needs. In addition, how profitability is determined will vary based on the size and structure of the company. When evaluating profitability, the majority of investors work with the concept of EBITDA (earnings before interest, taxes, depreciation and amortization), which can be a good indicator of the true cash flow of a company and generally approximates operating income for most mid-market e-commerce companies. However, for smaller and high-growth companies, a better reflection of true operating performance is what’s known as, “adjusted EBITDA,” because it backs out some of the extraordinary costs that typically hamper young companies. These can include things such as one-time costs and private company expenses that would disappear under a new owner, such as excess salaries and bonuses paid to owners, software development costs, private cars, startup costs and new product launches one-time cost. When seeking a potential suitor for late-stage investment or a sale, owners generally market off of Adjusted EBITDA to present the company in the most favorable light and best reflect future earnings potential. Another reason why profitability is key is that valuation multiples are strongly correlated to size and profitability. It is just common sense: the larger and more profitable the business, the greater the multiple investors are willing to grant. However, just showing profitability is not necessarily enough to attract the eye of an investor or potential company suitor. To get those higher multiples, a company must also be able to demonstrate its distinctive growth story. This introduces a range of new and potentially unfamiliar metrics on which to evaluate performance. Strong growth in e-commerce is the price of admission. So today, the most-aggressive investors really want to see a differentiated growth trajectory. This can come in many shapes and sizes, but a key differentiator that has created a lot of traction of late with investors is the ratio of Cost Per Acquisition (CPA) for a new customer to the average Life Time Value (LTV) of customers. In its simplest form, CPA is the average money spent to identify, educate and convert a prospect into a paying customer. This ratio (CPA/LTV) is a strong indicator of the soundness of a business plan — and its future prospects. Key drivers include such fundamentals as a low cost to acquire and maintain a customer, high average order values and a high percentage of repeat sales over time. Investors are also now placing a higher value on customer acquisitions through social media than traditional PPC (pay per click) and SEO acquisitions. Social-media-driven sales are more efficient to acquire and target specific types of consumers with surgical precision. Increasingly, e-commerce goods companies are selling 100% through social media. They tend to be faster growing and more profitable than other e-commerce companies. Once a company has defined its unique growth story and a path to profitability, many financial paths forward will emerge from investors and acquirers. The first optimal window to raise late-stage money opens to e-commerce businesses once revenue growth trajectories and profitability are established. That’s because the method for driving revenue has been proven, there is greater visibility of costs and the addressable market and a business’s competitive advantages are more clearly defined. However, well before this stage arises, those looking to raise capital or make a sale will have spent time establishing and monitoring their company’s growth and profitability trajectory. Sophisticated investors like to see that a company understands and tracks the many variables that go into developing that trajectory over time. Investors understand that to be competitive, they have to incorporate the value of future growth into any valuation, but the clearer the view of future growth the more they will be inclined to pay. E-commerce companies don’t face a level playing field when seeking out private equity capital because the market is inefficient. Companies with profits less than $10 million will face a smaller pool of private equity investors. Why? Many private equity funds have a minimum investment size that prohibits them from investing in smaller businesses. Simply put, private equity funds need a certain scale to generate dollar returns on their investment. On the other hand, given an e-commerce company’s unusual ability to quickly scale, many late-stage investors will become interested at around the $2 million profit mark. Of course, several factors can influence those entry points — including underlying sector, growth, market share, defensibility and strength of the brand. The most successful investors use well-honed analysis to determine valuations, and the most common methodology is ROI (Return on Investment). The actual modeling process can be quite exhaustive, but the goal is simply to estimate the financial returns an investor would make on any given opportunity. Typically, an investor has a preconceived range of ROI they want to obtain. Armed with this knowledge, the savvy owner should manage their business in such a way as to ensure the company’s future ROI is high — in order to maximize valuation. The obvious drivers of high ROI include an efficient capital structure that requires minimum working capital to produce revenue; and well-defined future growth opportunities — in which total costs and revenue can be accurately predicted and “diligenced.” It is these future growth opportunities that make up the majority of a company’s valuation. The world is full of opinions on valuation of e-commerce companies. As a general guideline buyers of mid-market e-commerce companies generally begin acquisition conversations in the range of one to three times revenues. A high growth e-commerce company’s business plan is to drive revenue expansion so a revenue multiple is a good reflection of that value being created. Large, well-established e-commerce companies trade significantly higher because of their leadership position and predictable growth. The road to late-stage investment or an exit transaction is often a long-term journey. For that journey to be successful relationships in the financial world are important. For example, establishing advisory relationships with investment bankers early on – and opening up dialogue with ideal long-term investors – can help position the business to maximize return on an eventual transaction further down the line and is the best-known way of flushing out strategic buyers willing to pay pre-emptive valuations — and thus avoid lengthy transactional processes. Ken Wasik is a Managing Director and Head of Consumer Products and Specialty Retailing at Stephens Inc.’s investment banking division. He advises high growth branded companies on how to fund rapid expansion and maximize goals.